A World War II veteran and career newspaper advertising man—who shared with his wife a love of animals and the outdoors—has established a fund to ensure care of wild animals through a bequest named for the couple. 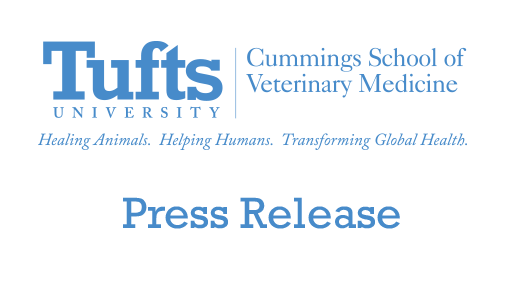 Born in 1921, Edward Lanciani grew up not far from Tufts University’s main campus in Medford, MAmdash;long before the establishment of the veterinary school more than 50 years later. Had a veterinary school been closer, his longtime friend and sales manager Mr. Lenick says, he may well have become a veterinarian due to his love for the outdoors and gentle way with animals. Lanciani returned to the American in the early 1960s, soon after it had merged with another newspaper to become the Record American, and managed the advertising department there until 1971. He then joined The Providence (RI) Journal, where he was vice president of advertising for 13 years until he retired to Maine in 1984. Mr. Lanciani’s will directs a portion of his estate to the Cummings School to establish the endowed fund, named for him and Anne, in support of the wildlife medicine program. 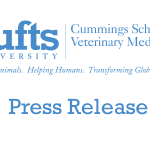 Mr. Lenick, who is the executor of the will, will present the Cummings School with the first distribution from the estate on Tuesday, June 29, at 11am at the Bernice Barbour Wildlife Medicine Building in Grafton, MA. Press are invited to attend.